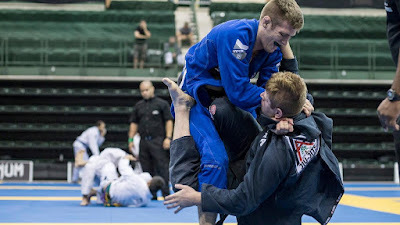 You may know Atos black belt Keenan Cornelius as a long and flexible guard player who is always tying his opponents' lapels into knots, but this past weekend in Chicago showed off a different aspect of his ever-evolving game. It was Cornelius' passing and top position that led to submissions in the videos below from the IBJJF Chicago Open. 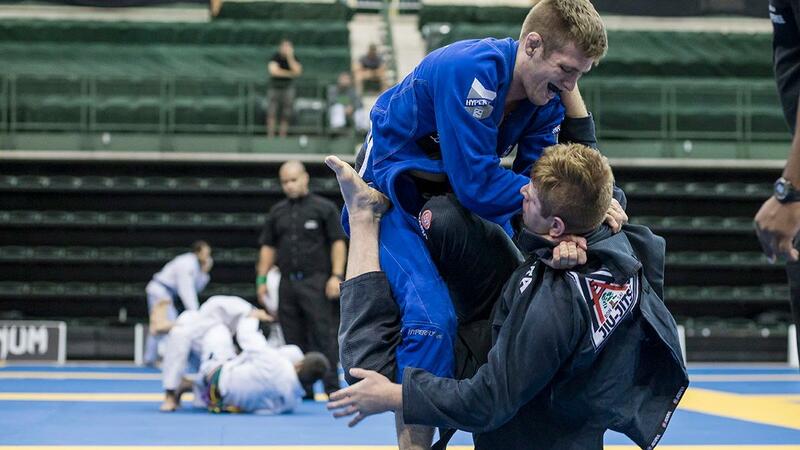 In the absolute finals, he faced GF Team black belt and super heavy gold medalist Gutemberg Pereira. After sweeping to the top position, Keenan went to work relentlessly until a mounted triangle brought the tap. In the heavyweight division final against John Gutta, Keenan latched onto a brutal cross choke from knee-on-belly -- a la Rafael Lovato Jr. -- and refused to give up on the choke, eventually tapping Gutta and earning his eighth gold medal since his return from injury at American Nationals in July.